Among the new social media platforms that have become widely popular, Instagram is right there on top. 400 million monthly users, 80 million photos per day- Instagram’s growth has exploded ever since Facebook acquired it a few years ago. People are engaging at very high levels – higher than any other social network. Going by Forrester research, user interactions with brands is 400% higher than Facebook and Twitter, delivering 58 times and 120 times more engagement per follower when compared to Facebook and Twitter respectively. These stats should give you enough reason to start building up a presence in Instagram. What will Instagram offer that other platforms won’t? Who is your target audience and who are active on Instagram? How will Instagram fit into my social media strategy? Showcase your team and recruit new talent. Enhance and complement event experiences. Every single Instagram photo is an opportunity for growth. Add general hashtags to every photo – it gets you more exposure and authenticity to your photo. Keep the hashtags related: your hashtags should be related to the products and services that you’re offering. To get more success, it is wise to create photos to specific hashtags – they’ll definitely increase your brand engagement. Don’t spam hashtags: It’s a bad idea to fill up your posts with hashtags. Given that users love hashtags, it might be tempting to use multiple hashtags to attract a wide audience. It will hurt more than it will help. Always use one or two of them and implement it efficiently. Don’t make the caption too short: Brief captions look great. Yet, people tend to go wrong with having a brief caption succeeded by a wave of hashtags. It can really hurt your image. A single line caption is much more effective. Influencers on social platforms are more effective than you imagine. As with most social media strategies, you need to locate your influencers and follow them. Once you start interacting with them, your target audience will start noticing your brand. SHREDZ is a nutritional supplements company that was struggling with an existential crisis and was on the verge of closure. It had made a meagre $90000 in 2012. Later it partnered with Paige Hathaway, a fitness model and the company jumped to $5 million in gross revenue by the end of 2013. All it took was an influencer who would endorse the brand to her followers. Also her follower count went up from 8000 to 1.8 million in three years. Influencer marketing is a two way street- everyone gets rewarded in the end. Beautiful and easily digestible content not only resonates with your brand, but also compels the viewers to share and interact with your content. A great post can be broken into 2 simple fragments- beautiful imagery and engaging text. Beautiful Imagery: You need to choose images that elicit an emotion and tell a story. Emotions drive user engagement. Choose original and innovative pics that have depth to tell a story. Engaging text: While it’s not necessary to add text to your posts, doing so packs a punch which a plain image won’t offer. Text can be anything from a powerful question to a motivational quote. Whatever you post, it should evoke an emotion – it’ll drive the user engagement. Brand engagement comes in many forms – sharing, comments, tagging friends, clicking on call-to-action etc. Having a large number of followers alone isn’t enough. You need to constantly feed quality content to keep up the interactions. Post your pictures when your followers will actually see the content. Social networks such as Facebook, Twitter and Instagram are feeds – newer the content, higher up it’ll be on your followers’ feeds. Great content with proper timing is what makes a viral post. Ask your users for engagement. This can include inviting people to tag their friends for a particular post, conducting surveys and offering discounts and coupons. You can include the action to be done in the post itself or in the description. Make it smart and effective. 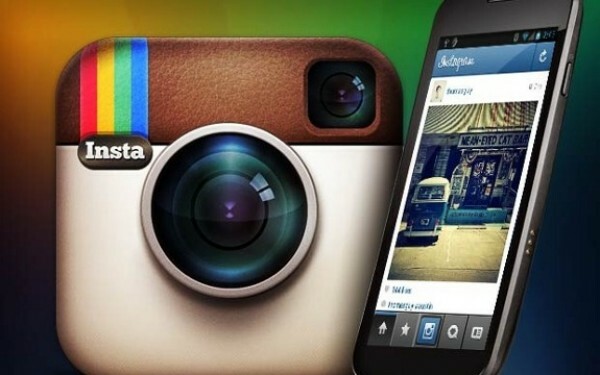 Instagram is a great platform for any business in any vertical. You need to carefully evaluate how it’ll benefit your business and use accordingly. Once you figure it out, you’ll see a significant impact on your brand awareness and revenue.